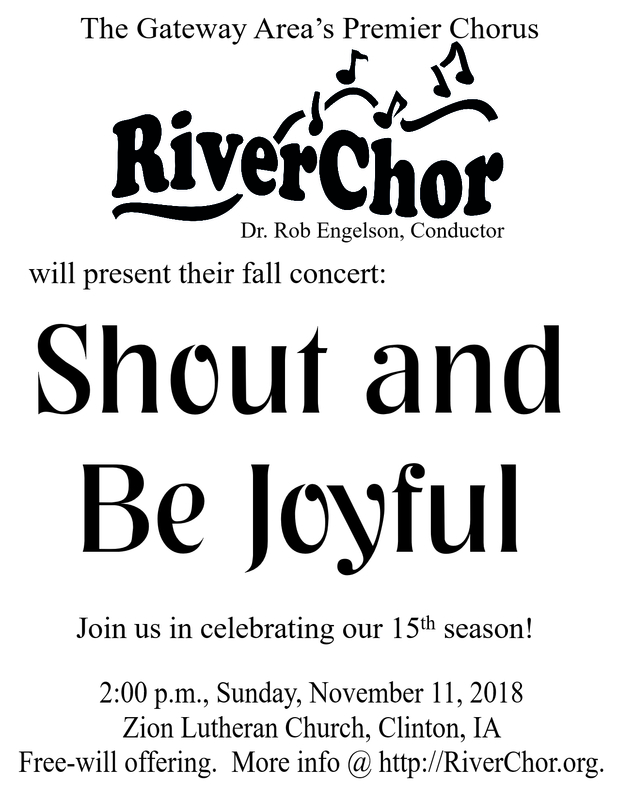 Join RiverChor in celebrating its 15th season on Sunday, November 11, 2:00 p.m., at Zion Lutheran Church in Clinton, IA. 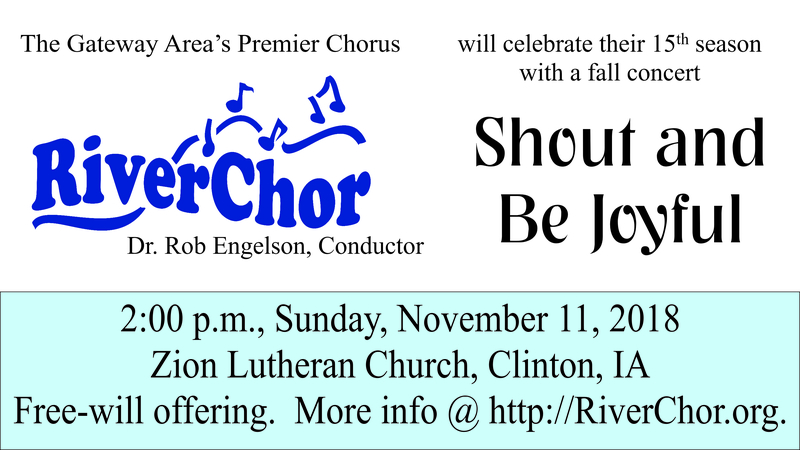 We will be presenting a variety of choral music crossing multiple genres. As a special treat, we will be having a brass group join us on three pieces. The concert is free. This poster is printable, please right click and select ‘open image in new tab’, then you can press ‘control P’ to print.